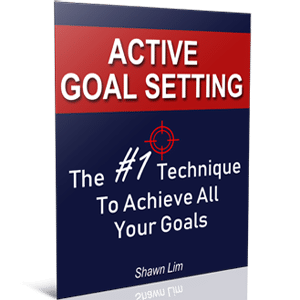 If you are looking for the perfect goal setting template, you will never find it. Why? Simply because everyone’s preferences and everyone’s requirements are different. Don’t worry; let me share with you the important criteria that are fundamentals that every goal setting template must deliver. You see, when you search with Google, you will find all kind of templates for your goals. 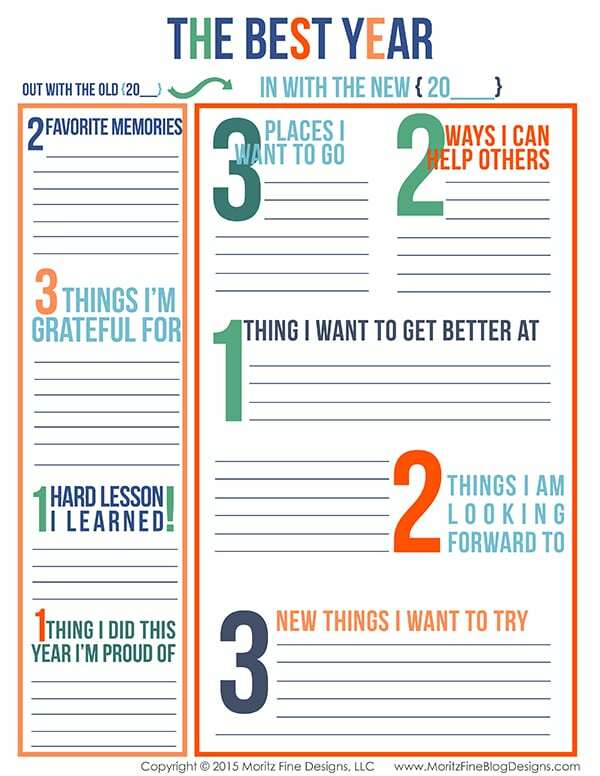 There are those that you can use for your yearly goals, monthly goals, weekly goals and some even daily goals. Some may require you to list down your top 10 goals while others want you to focus on just 1 or 2 main goals. So which one should you go for? Is the template you are using straightforward and easy to understand? If it is difficult to understand and you can’t tell what you need to do at a glance, don’t use it. 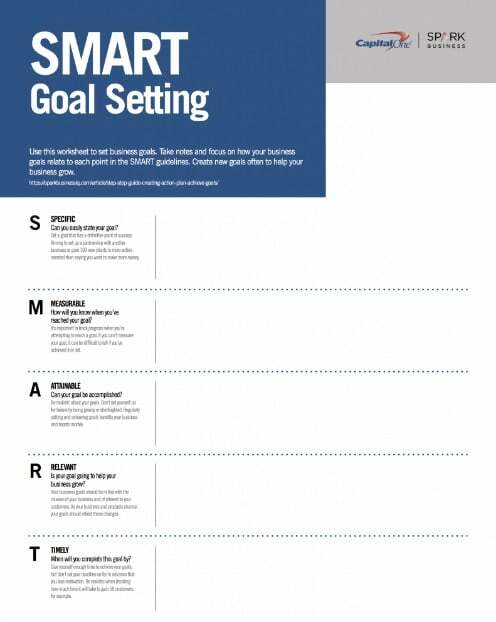 A goal setting template must be down-to-earth and so simple that once you look at it, you will know exactly where you are, what you need to do to reach your goals and understand whether you are winning or losing. If you cannot tell if you are moving in the right direction or are producing the right results when you review your goals on the template, it probably may not be suitable for you. 2. Does it show the lead and lag measures? Most people get it wrong here. A lead measure is a measure that you can influence and something predictive. On the other hand, a lag measure is something that you cannot influence or act on and something that you have no control over. You can learn and understand more about the lead and lag measures here. If you have no idea what are the lead and lag measures, read the article right now. Most people are not getting the results and reaching their goals because they focus on the wrong thing. That is, they focus on the lag measures. A good goals template will show you both the lead and lag measure so that you will know where you are and what you have to do. This is utmost important, and I believe most templates will never miss out this criteria. You cannot win if there’s no time frame there. A deadline is important because it tells you when you need to achieve it. It creates intention and puts you into action. 4. Does it show your MIG? MIG – Most Important Goal. MIG is the goal that if you achieve it, it will give the most positive impact on your life. Most people’s MIG is a financial goal. This is because if they achieve their financial goal, all other goals can be accomplished as well. Usually, you will only have 1 or 2 MIG. If you have 5 or 10 MIG, you should reconsider and ask yourself what is the one thing that if you did it, will change your life. In goal setting, more is not always merrier. The more goals you have, the more distraction you will get. And the chances for you to reach your goals will be lower. Most people who focus in only 1 or 2 MIG usually achieve them, while those who have 10 or 100 MIG usually fail to accomplish any of them. The principle here is simple; you want to focus your energy on just one or two most important goals and work on them. There’s no point to be the jack of all trades and master of none. You want to focus all your energy into just one or two goals. 5. Can you tell if you are winning? It should work exactly like the scoreboard you seen in sports. Whether it is basketball or football, you can tell whether your team is winning by a glance at the scoreboard. 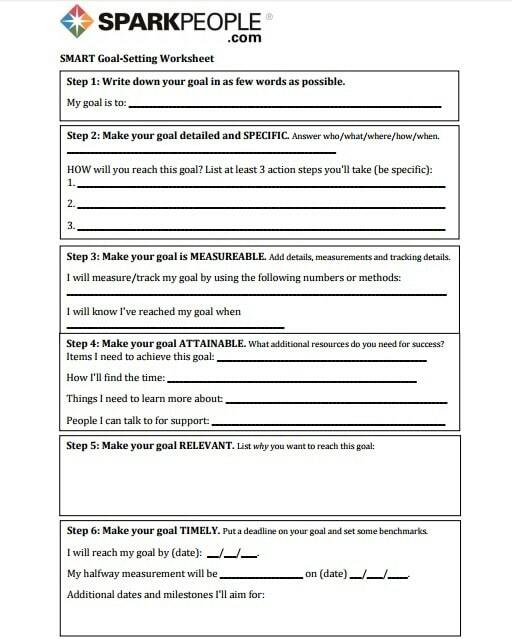 Your goal setting worksheet should do the same. When you look at it, you should know if you are doing things right and are on track. To learn more about creating your scoreboard, I suggest you read this: Keeping Score: The #1 Reason People Fail To Achieve Their Goals. What truly drives you is the purpose behind why you want to achieve the goal. So why do you want to achieve that goal that you have set? Your purpose must be strong enough to drive you into taking action, and your template must show this. If you cannot find the hot button in the template, you will never feel motivated whenever you look at it. So include your purpose into the template. Do you know what you need to do after looking at the template? If you don’t, you should modify or use another template. 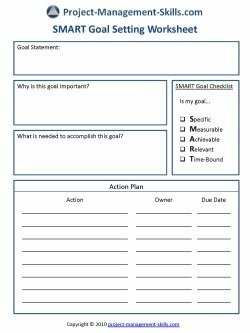 An effective goal setting template will show you exactly what you need to get done. It must tell you what are the action tasks that you are required to do to achieve your MIG. In other words, your goal settting template consist of your action steps too. What you can do now is to customize and create your personal template. 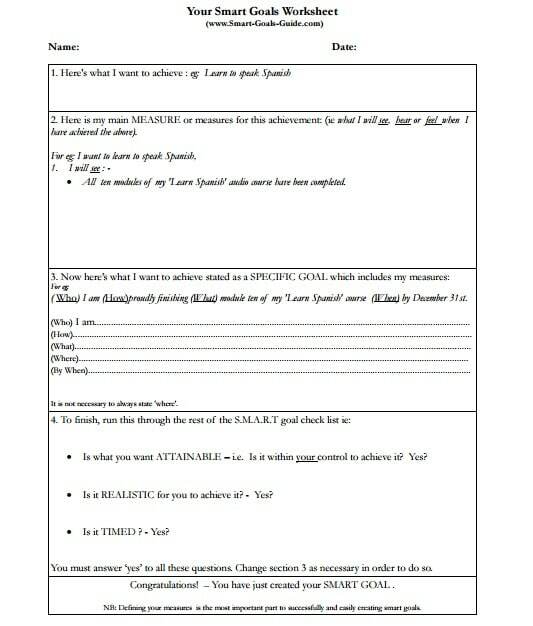 I will share with you 11 examples below so that you have an idea how the worksheet is going to be like. 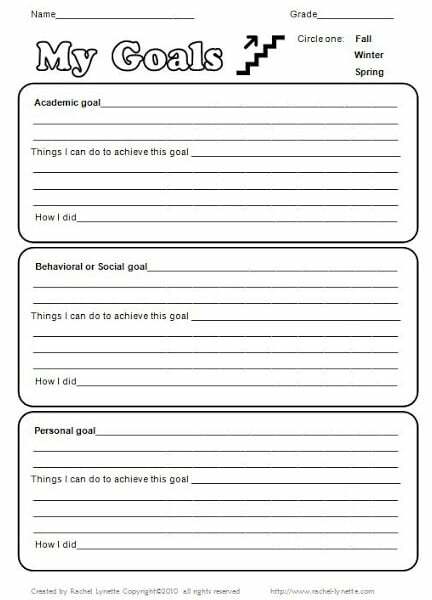 You can use those templates directly, however, try to customize or create your own goals worksheet if possible. You don’t have to make it beautiful; that’s not the main point of using a template. The most important key is to have a goal template that will motivate you into taking action, telling you where you are and what you need to do to reach your goal. Once again, there’s no right or wrong template to use or to follow. Create one with your preferences if possible and try to incorporate the criteria mentioned above into the template. I sincerely thank those who created these templates. You can learn more about the owner and their websites through the link shared. The order of the list does not matter. 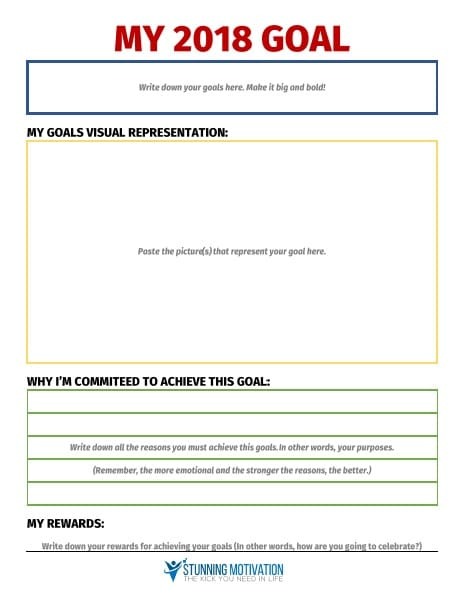 Well, as a blogger who is active in the personal development niche, especially in goal setting and motivation, how can I not providing my own template as a reference, right? You can download this template in Microsoft Word format HERE. 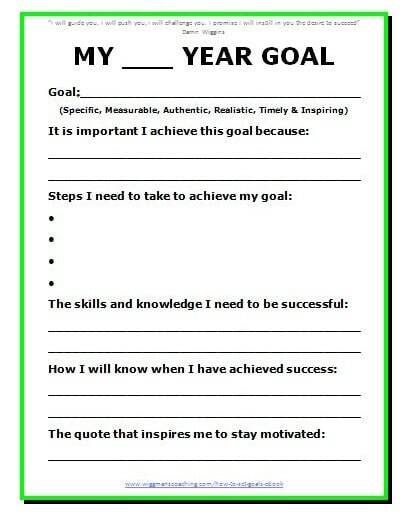 Each year, I will update the template that I use for my goals. And for 2018, I changed to a more visual one where you can see from the template above that the middle section is meant for you to put in the pictures representing your goal. Whether it is your dream car, dream vacation, or business success, search for a related picture that you can relate, and then put in the picture there. I believe that whatever that is out of your sight will be out of your mind. This is why this year, I prefer to use images to represent my goal. I hope you will love the template. I hope this list is going to be useful to you. Visit the websites from the links I shared to learn more about the templates that you are going to use. Whichever goal setting worksheet you choose, you must remember that the main purpose of using it is to help you reach your goals. And you can always create your custom template to cater your requirement and design. For example, you can add personal pictures or the picture of the goal you want to accomplish to boost your motivation and look more attractive. 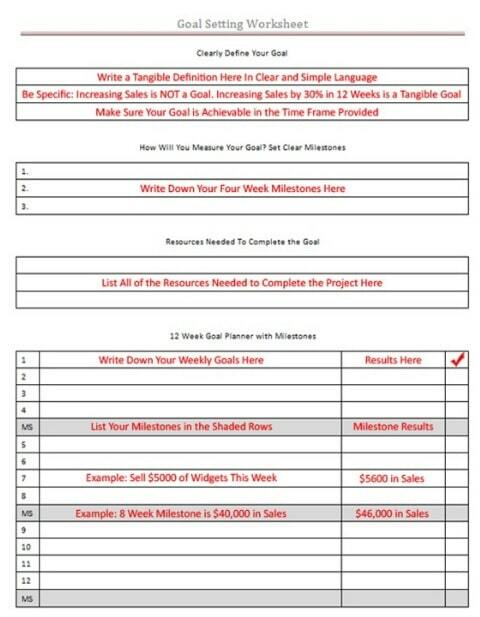 Whatever you do, take action and put this goals template somewhere visible to you. You need to see it to remind yourself about your goals and what you need to do each day. You want to program your goals into your subconscious mind. Make it a habit to review and go through your goals every day. Once it has become a habit, you will see how impactful this is going to be. So which one do you prefer and do you have your own template? Let me know in the comment section below. Tell me your opinion so that we can improve. By the way, if you think this article is helpful, remember to share with others. Enlighten and help others to reach their goals too. #3 Don Crowther template is the one that I often use. #11 is also unique as it lets you set the deadline and be more focussed. Will try that too. It has more categories than the ones mentioned here and 8 goals to achieve in each category. Let me know what you think. Your article has been extremely helpful for me. Thank you for sharing your experience and great ideas for achieving success! It’s good to know that people actually feel that my articles are helpful.